Sheldon Stoddard, of San Bernardino, was born near Toronto, Canada, February 8. 1830, the son of Nathaniel and Jane MacManigal Stoddard. His father was a carpenter by trade and a native of Massachusetts; the mother was born in Glasgow, Scotland. The father died at Toronto and the mother came to the United States about 1838 with her four sons and after a year in Ohio located at Warsaw, Illinois. She crossed the plains to Salt Lake and then to San Bernardino with the colonists of 1851, returning to Utah about 1875. Of the sons, Arvin and Albert came to California in 1849. Rufus died in Utah in 1904. Sheldon Stoddard started for California in 1848, coming by way of Council Bluffs and the North Platte route to Salt Lake. Here a party of about thirty men, under the guidance of Captain Flake, started for the placer diggings in 1849. Among the members of this party were Charles C. Rich, George Q. Cannon, William Lay, and Sheldon Stoddard. They rode pack animals and followed a trail as far as Mountain Meadows, intending to take a northern route via Walker's Lake to the placer diggings. They traveled westward for eighteen days without guides, compass or maps. They found no water, and were saved from perishing by a providential shower that seemed to come from heaven to restore and save them from a terrible death, famishing for the want of water, a miraculous escape for which blessing they all returned gratitude to their Heavenly Father. The water they caught by spreading their rubber blankets and drank it with a spoon. Being thus refreshed they turned eastward and struck the head of the Muddy River which they followed down until they found a trail and soon afterward came up to Captain Hunt in camp with seven wagons that had remained with him when the rest of his party had taken the route that led them into Death Valley, where so many perished for the want of water. 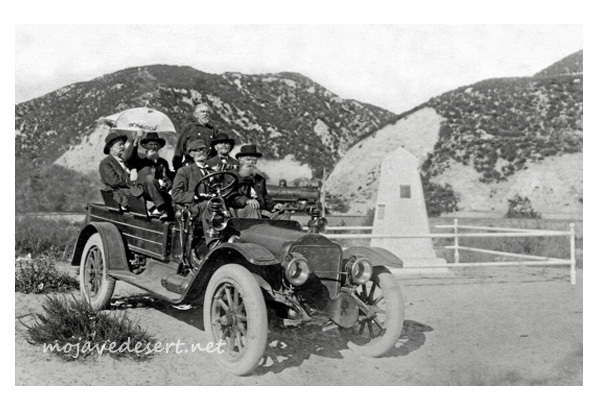 They came on southerly up the Mohave River, through the Cajon Pass, and reached Chino Ranch, where they remained for a month recruiting their stock and were hospitably treated by Col. Isaac Williams. They went on to the Mariposa mines, where the company disbanded, and Mr. Stoddard established a trading post in the Carson Valley to supply incoming immigrants. Flour and bacon sold for one dollar a pound, and other articles in proportion. Finally he and his party bought about sixty horses and twenty head of mules and returned with these to Salt Lake. In March, 1851, Mr. Stoddard married Miss Jane, the second daughter of Captain Hunt, and in April they started for California with the San Bernardino colonists under Captain Hunt, Amasa Lyman, Charles C. Rich. At Bitter Springs Lyman, Rich, Hopkins, Rollins and Captain Hunt started on ahead of the company on horseback, Stoddard accompanying them with a mule team, arriving and camping at Sycamore Grove, the remaining wagons reaching this location soon afterwards, where all remained until September, 1851, when all moved down to the valley as the leaders had completed the purchase of the San Bernardino Rancho from the Lugo family. Mr. Stoddard at once built the first log cabin out of willow logs on what was known as the Mary Carter place, on First Street, west of I Street. This cabin was later taken down and moved down and erected on the west line of the fort that was being constructed as a protection from hostile Indians. In May, 1852, he brought John Brown and family from San Pedro and located them as his neighbor on the west side of this fort. Mr. Brown purchasing the cabin from Marshall Hunt for fifty dollars. In 1853 Mr. Stoddard built a small adobe house on the northwest corner of D and Fourth streets, where the postoffice is now located. For many years he was engaged in freighting and carrying the United States mail between San Bernardino and Salt Lake City, crossing the desert twenty-four times, in 1865 he made the trip to Nevada and Montana, a distance of 1,300 miles, requiring six months for the journey, with his mule team. 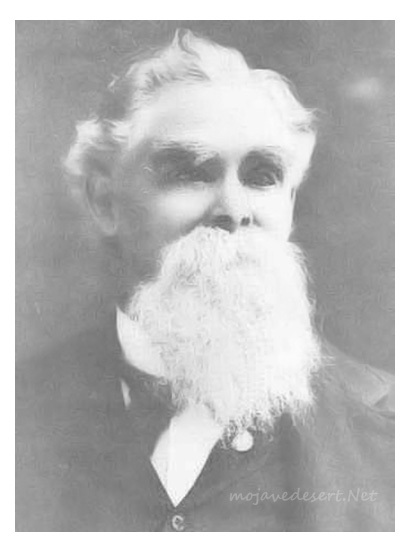 In 1882 he entered the employ of the California Southern Railway, and the Santa Fe Railroad Company, under their chief engineer, Fred T. Perris, taking charge of their teaming and quarry work, retiring in 1899 from active work to enjoy a well-earned rest. His beloved wife died in San Bernardino, December 26, 1899, since which time he continued to live at the old home, Tenth and D streets with his daughter, Hattie Stoddard Merritt, who cared for him as only a loving daughter knows how until his death, which occurred in 1903. He was elected president of the Pioneer Society to which he was strongly attached as it kept him in touch with many of his old friends. He was active in building log cabins and monuments with the pioneers and loved to go camping and fishing with them. Among these companions in later years were Sydney P. Waite, John Brown, Jr., Bill Holcomb, George Miller, George M. Cooley, Taney, Woodward, Richard Weir, Silas Cox, Jap Corbett, G. W. Suttenfield, Charley Clusker, and others. His children were Mary Aurelia, who married Nelson Sleppy, now deceased; Eva, who married Albert Rousseau, now deceased; Bell, now deceased, and Hattie, wife of S. P. Merritt, now (1922) living. Off-highway vehicle recreation in the Mojave Desert near Victorville and Barstow. Drive between Barstow and Victorville on Stoddard Wells Road, the Mojave Desert, California. Stoddard Valley. Located in the Mojave Desert of Southern California, Stoddard Valley Off-Highway Vehicle Area offers a diverse landscape for . Sheldon Stoddard In 1882 he entered the employ of the California Southern Railway, and the Santa Fe Railroad Company, under their chief engineer, Fred T.